I am a horrible driver, when I first hit my back bumper, it took me a long time to get the evaluation of the damage. I stayed in line, went to several different places, just want to get a basic idea about how bad is the damage. Finally, I didn't fix it because it is not bad enough for me to pay the money. I want something that can give me sense about the damage level of my car. 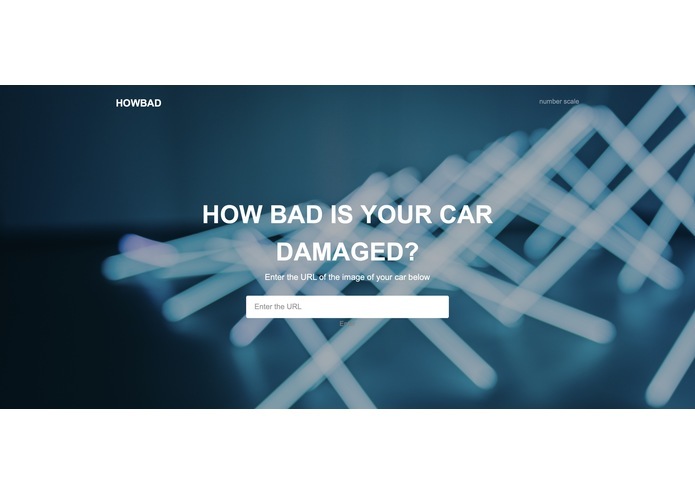 It is a website that the user can upload the image of the damaged part of the car, then the website can scale the level of damage and give advise. The insurance company can use this is a quantifier in the contract of compensation. We use the API give by Clarifai, it helps us to build up our own model of quantifying the damage. Then we employ that into the website which the domain name given by domain.com. We built up our own model by machine learning. We feed the model data about relationship between damage and level than let it learn. 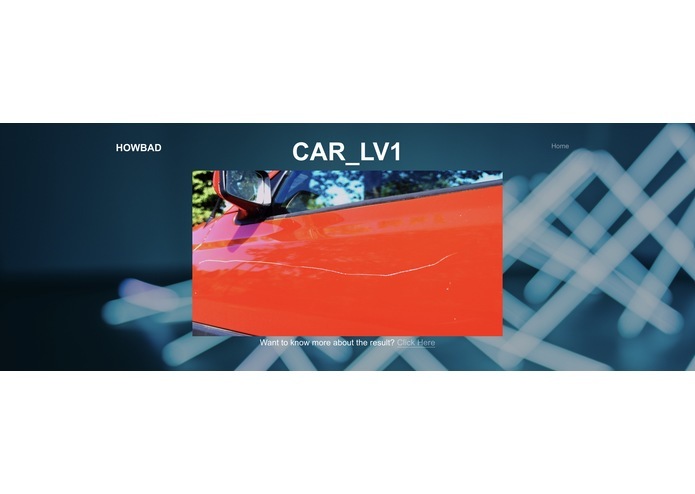 The model for HowBad can be used not only for evaluation car damage. We can feed it with different sets of data and let it learn. I help with building the website, defining and sorting data for training process. I worked on making the website. I created a domain and linked the domain.com with the local html file through the github pages.